The ABC Design Risus car seat (group 0 + 0 13 kg) offers the highest security, and a clever yet easy attachment mechanism. The cover is easy to wash, and the car seat can also be used as a baby’s rocking chair. Optimal protection and the best level of comfort for your baby, combined with practical and simple handling – this is what the ABC Design Rider car seat (group 0 + 0 13 kg) has to offer. The cover is available in many lovely colour combinations, can be removed and is easy to clean. So that even the smallest babies can ride in comfort it also features an integrated seat cushion, which can be removed once the baby has grown. At home, this car seat can be used as a baby’s rocking chair – this is thanks to its slightly curved underside. When the baby has fallen asleep in the car, they can simply carry on sleeping. This is due to the clever Isofix attachment system; the era of time-consuming, complicated buckling and un-buckling is over. Isofix – this is a secure and easy attachment system. The ABC Design Rider car seat is attached into the car using a special base. This special accessory has to be bought as an extra – but it’s a worthwhile investment, as it means your baby will sit tight in the car, and then, with one uncomplicated hand grip, the car seat will be very easily removed. No belts are needed, as simply attaching it to the base is enough! Those already established have new names: Raider is now Twix, and ABC Design’s Rider is now Risus. The ABC Design Risus car seat (group 0 + 0 13 kg) is suitable for children from 0 to 15 months of age, or for children weighing up to 13 kg. Under the directive 2003/20/EG, the use of safety belts and child restraint systems has been mandatory in all vehicles since 2006. 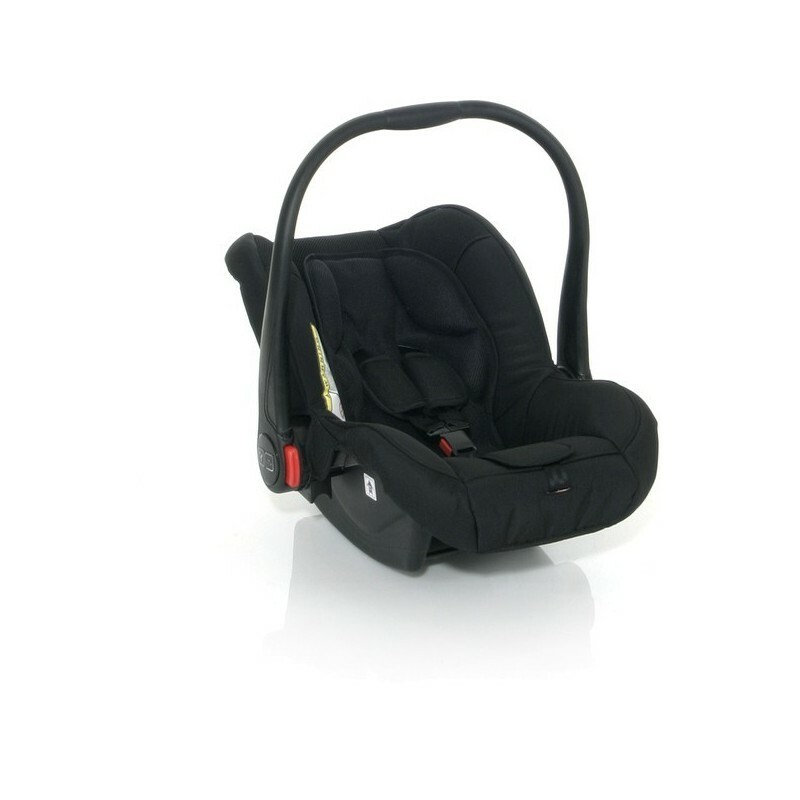 The ABC Design Risus car seat (group 0 + 0 13 kg) meets the required safety standards of ECE R 44/04 and ensures safety at all times.